Informed by her Sociology background, Katya Roberts’ art explores the ways people and spaces influence each other. 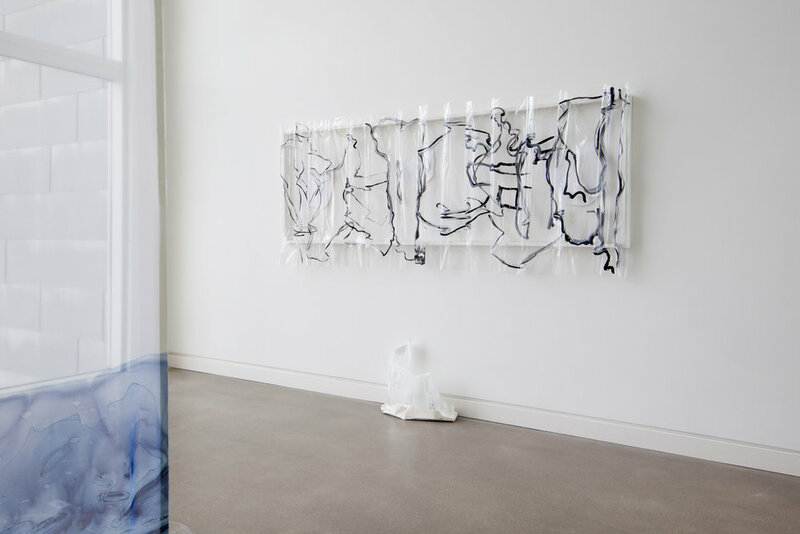 The artist aims to find poetry within her materials while working to push their materiality into a visceral, nostalgic, meditative state. If landscapes could speak, what would they say? If they do speak, where can we hear them? Over time, cataclysmic events find apparent rest as mountains, waterfalls, and canyons. 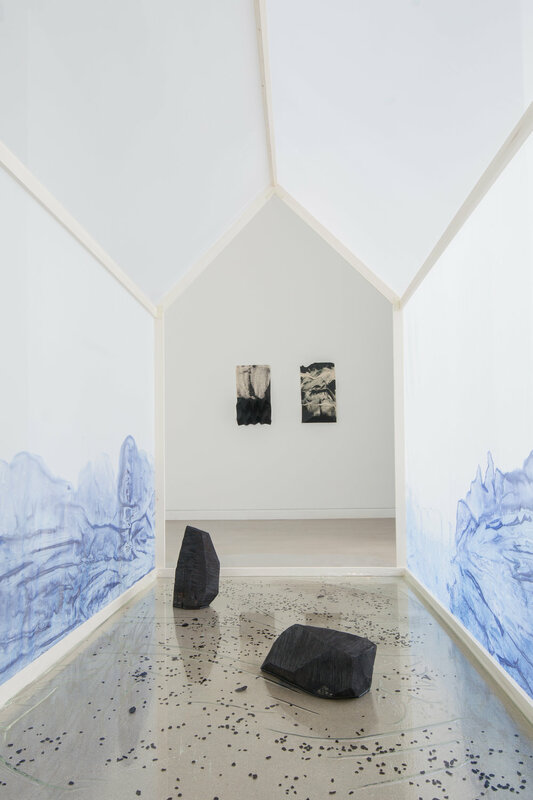 With imagery inspired by Iceland’s geologically active landscapes, Iceland becomes the backdrop against which the artist proposes we evaluate our relationship to the landscapes we traverse. T R A V E R S E is an immersive, interactive exhibit that considers the spaces between us and nature. 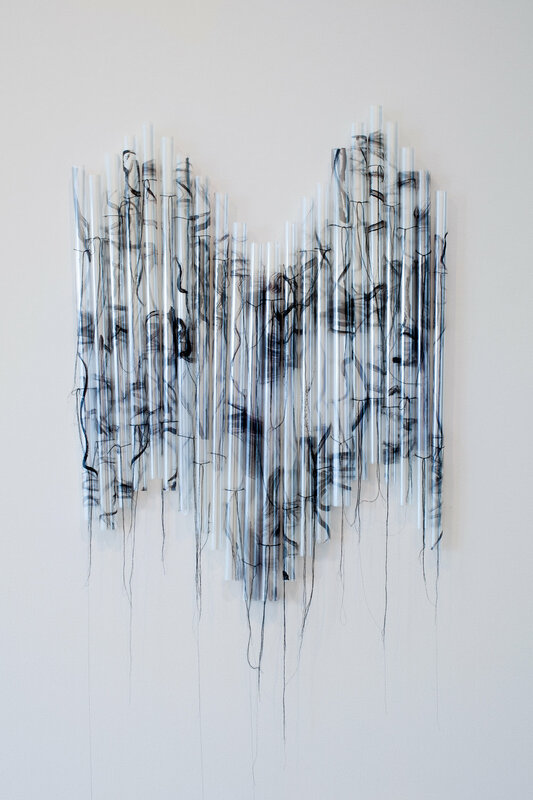 The artist invites the viewer to embark on a metaphorical journey of natural and human forces and the extent to which they are both at odds with each other and at times in harmony. The invitation to traverse posed by the exhibit is a quiet SOS from nature, calling us back to herself. 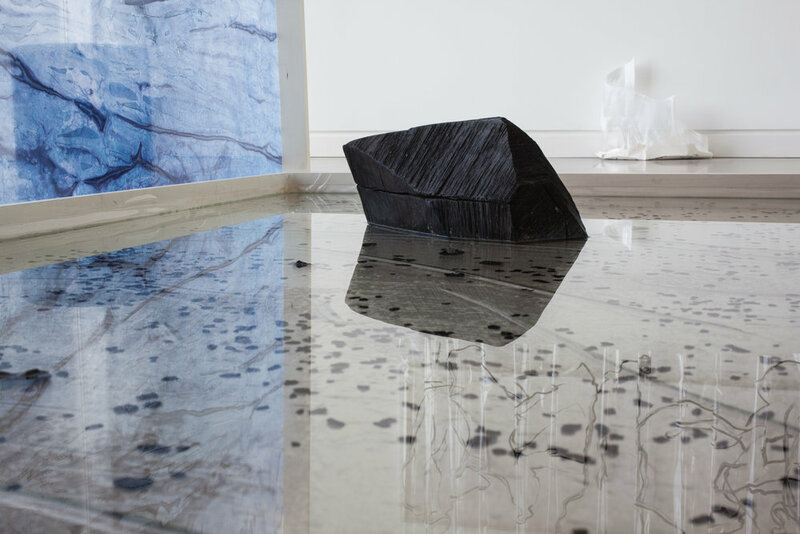 In turn, there is reclamation of the natural state of things as in “Water House” and “Future Relics” where nature takes back man-made objects. 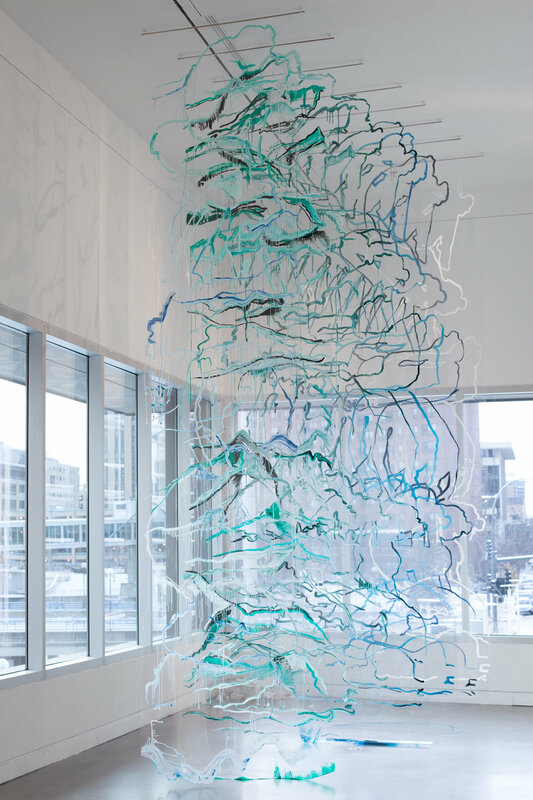 The exhibit points to the dynamic forces of nature while recognizing the dualities inherent in these elemental forces and our human relationship with them. 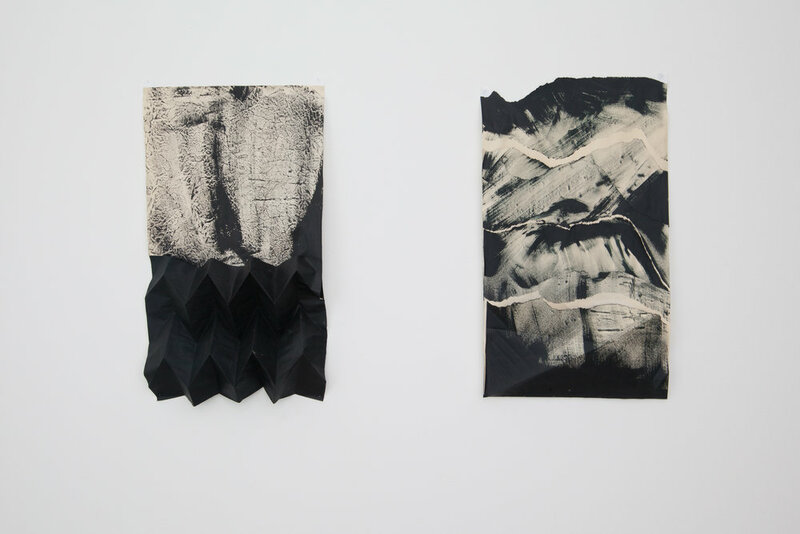 By characterizing Earth as a live organism, the artist employs processes of creation that mimic shaping of the earth’s crust such as tearing, recombining, layering and restructuring the materials. Do they capture a chaotic beginning or are they evolving from a place of rest? Spills, shifted planes, pushing and pulling, contracting and releasing, liquids and solids, micro and macro, silence and sound. Are these materials, marks and sounds pouring out or structuring themselves? Interactive sound by Chris Kostelec yields a sense of give and take (between us and nature, the viewer and the art, the visual and the sound) and a capacity to spill into each other’s vacuums or negative spaces.